27/04/12 - Outback Battery chargers are available from Christie Engineering. 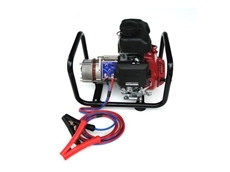 They boast an impressive 80 amp output and have been particularly popular with campers and travellers. 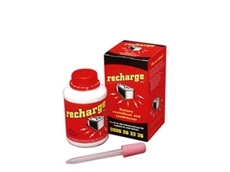 17/01/12 - Recharge Battery Revitilizer answers FAQ and explains how Recharge increases battery life and revives failed batteries. 12/08/08 - Lindsell Hoists provide ratchet locking slew booms. These slew booms can be used along with hoists manufactured by Lindsell Hoists. 04/08/08 - Direct Trades Supply provide different models of solar fence systems, designed using advanced software that can control the output power. These solar fence systems are manufactured by Thunderbird. 01/08/08 - Rainbow Power Company, a New South Wales based firm, designs, manufactures and installs renewable energy source systems. 31/07/08 - Weatherzone Online Weather Shop offer solar power products, rain gauges and tide clocks. The solar power products from Weatherzone Online Weather Shop include the Freeloader hot pink solar charger and Freeloader solar charging system. 31/07/08 - Direct Trades Supply provides a range of building products including cement mixers, plywoods measuring 2400 x 1200 x 12 millimetres and 2400 x 1200 x 18 millimetres, builder's film and form ply. 31/07/08 - Rainbow Power Company is involved in designing and manufacturing renewable energy equipment. Founded in 1987, Rainbow Power Company works with an aim to provide cost-effective and environment-friendly energy sources to people across Australia. 30/07/08 - Rainbow Power Company designs, manufactures and installs renewable energy products. The products are made to suit different environment-friendly energy sources such as solar, hydro, wind and biomass energy.